Since beginning in February 2005, Fresh and Fruity have been obsessed with making high quality fruit gift bouquets for any occasion – the delicious alternative to flowers! Not only do our bouquets look stunning on arrival, but the recipients are able to eat and enjoy their gift! “Our aim is to make the highest quality of fruity bouquets and products that not only spread the love, send cheer, show you care, surprise and delight, they are a fantastic treat for any of life’s celebrations”. Our commitment is to provide you with the most delicious gourmet fruit bouquet arrangements made from the freshest produce sourced daily. 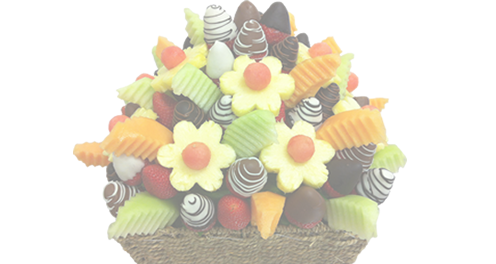 We are a Melbourne based business and we take great pride in our company, our commitment to customer service and in the delicious fruity bouquet products we sell. During the Victorian strawberry season, we use our own farm fresh strawberries throughout our entire bouquet range. Our online store is designed to provide you with a safe and secure environment to browse our Fresh and Fruity products and to easily order unique and delicious fruity gifts to impress your family, friends, clients and employees. With an eye for detail, our Fresh and Fruity team make every bouquet according to a unique design so that we create consistency with our products. In addition to our best selling favourites, we like to add new bouquet designs and products regularly to our web site to keep the gift giving at Fresh and Fruity new and exciting. 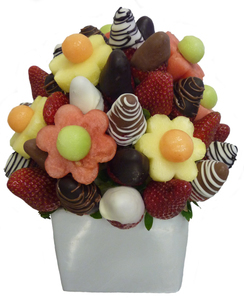 So next time you are searching for that unique effect, why not order a Fresh and Fruity gift bouquet!